Craftsman Tools has teamed up with DC Entertainment to showcase all of the different problems the Craftsman Bolt-On Tool System, with all of its attachments, can solve. 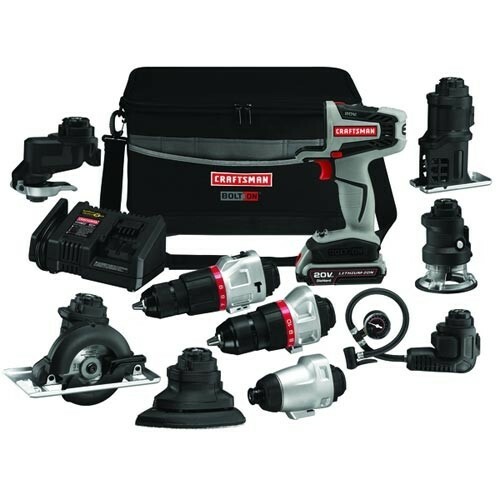 Bolt-On is the latest cordless system from Craftsman that features a modular head system. There are a total of 9 changeable head options including a drill/driver, impact driver, hammer drill, sander, jigsaw, 3-3/8-inch trim saw, high pressure inflator, router, and oscillating multi-tool. 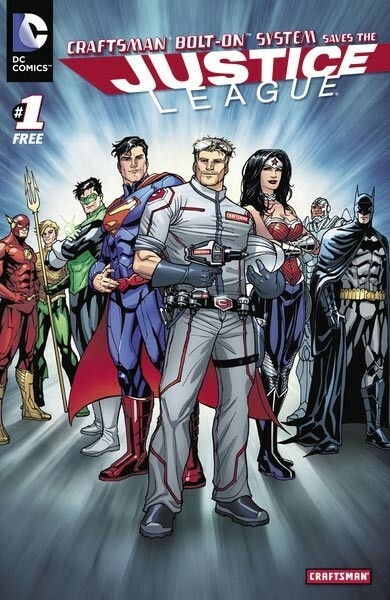 "In "Craftsman Bolt-On System Saves the Justice League," The Craftsman Technician acts as the handyman to the Justice League, including Superman, Batman, Wonder Woman and The Flash. 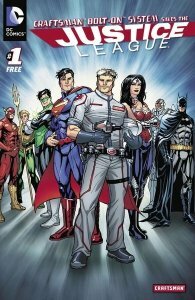 The Technician finds himself at the center of the story when a villain, The Key, tries to steal records from The Hall of Justice while the Justice League is away. The Technician's quick-thinking and Bolt-On tool help save the day. " 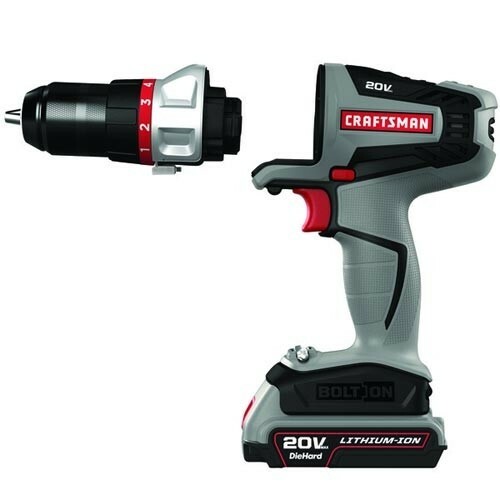 The Craftsman Bolt-On is expected to retail for $120, includes the drill head, battery, and charger and will be available later this month. Individual attachments will retail for $29.99 to $39.99. The Craftsman Technician must have got a hold of an early model. Visit craftsmancomic.com to read more about the adventures of the Craftsman Technician and his Bolt-On tool system. If you are in the New York area you can pick up an actual copy of the comic at the 2012 New York Comic Con, if you go pick me up a copy too.